Sometimes it blows my mind how God orchestrates the timing on things. I have literally known Michaela since she was 7, and our families were in the same homeschool group together. Her family has moved around a bit, and recently ended up in North Carolina. but when the possibility came up of me going to NC to visit a friend, I asked if she would rather just do them there?! It worked out better all around, and it was so fun to see her/her Mom again and catch up in person! 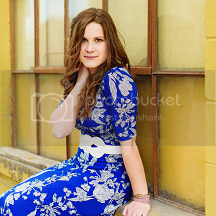 I really love these, definitely one of my favorite sessions I've done this year...and isn't she gorgeous? please send me a message HERE or e-mail, and I would love to chat more! These are so rad. Love how creamy they are. These are simply beautiful! Lovin' the lighting! wow, these pictures are stunning! love them! AHHH!! I have no words. These are beyond gorgeous. Well these are gorgeous! Her authenticity inspires me, as does your killer photography. :) Love! Keep coming back just to be inspired by these poses and this lighting! Stunning, and for sure your best senior session yet!